Are highly appreciated for their beneficial qualities. They were introduced to Europe following the discovery of America (1492), and are invaluable allies of physical well-being. 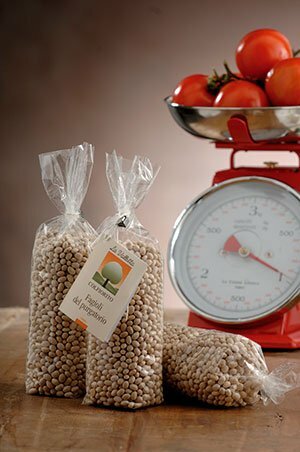 These pulses, rich in vitamins, mineral salts and fibre, have always been La Valletta's flagship product, indeed the farm grows four varieties: Borlotti, Cannellini, Occhiolina and Purgatorial beans.